Uncertainty in the economy and the property sector continue to prevail, says Arrowhead Properties CEO Mark Kaplan. 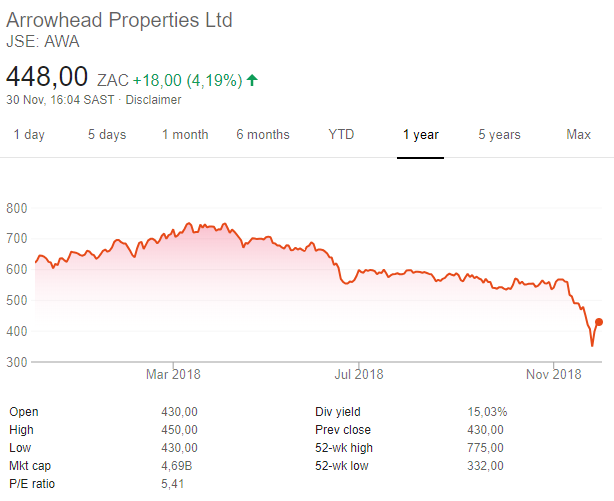 Arrowhead Properties (JSE: AWA), a diversified South African-focused property fund, on Wednesday reported a 15% decline in its full-year dividend to 74.1 cents per share — as tenants battle with rent. The company announced a dividend of 33.67c per share for the six months ended September and a full-year dividend of 74.10c per share. This was compared with 87.52c a share, which it had paid for the 2017 financial year. South African dividend growth in the property sector came under significant pressure in 2018 as the macroeconomic environment deteriorated, resulting in weakened income contributions from Arrowhead’s property portfolio and listed investments. Releasing the results for the year to September 30, CEO Mark Kaplan echoed many of his peers in the listed property sector saying he expected dividend and share price growth to rebound only in 2020, and that 2019 would be a very difficult year for Arrowhead and the economy in general. Its property portfolio comprises a mix of retail (61%), office (31%) and industrial (8%) assets that are directly held, and provides indirect investment exposure to other commercial and residential assets through its separately listed subsidiaries, Gemgrow Properties and Indluplace Properties. Arrowhead also has investments in listed securities Rebosis Property Fund (16.42%) and Dipula Income Fund (8.6%). Arrowhead’s latest distribution was also badly affected by its investment in fellow Reit, Rebosis. Two weeks ago, Rebosis reported that its dividend for the year to August had slipped 27.7%, largely thanks to the poor performance of its UK shopping centre subsidiary New Frontier. Arrowhead’s vacancies started the year at 12,1%, were forecast to increase to in excess of 13%, but finished the year at 7,9%. Accordingly, Arrowhead anticipates that distributable property income from its direct property portfolio (comprising 49 properties valued at R5,6 billion) will grow in excess of 2% in the September 2019 year, which is a favourable outcome given the current economic environment. COO Riaz Kader explained: “As a result of prevailing economic conditions, tenants continue to reduce space and work forces. Costs of retaining existing tenants and attracting new tenants take the form of reduced rentals, increased letting commissions, higher tenant installation costs and longer beneficial occupation periods - far higher than in the past. Creative and competitive deal making is required to let properties in these difficult economic times and Arrowhead has been dynamic in its approach, with a strong focus on tenant retention”. The consolidated, average lease escalation in the year ended September 2018 was 8,13% and the average lease length 3.86 years. Early rental negotiations ensured the renewal of leases in three significant single tenanted buildings. 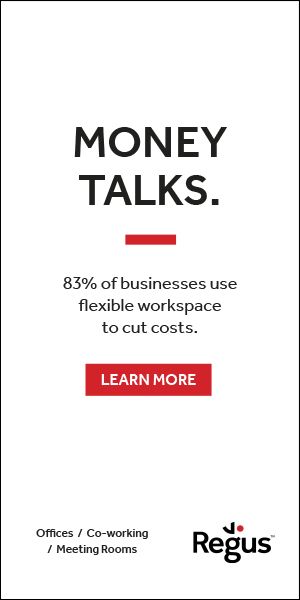 “Tough operating conditions require concerted efforts to ensure that lettable space remains occupied and continues to generate income, however, this comes at a significant cost. While such difficult operating conditions persist in the short term, we will continue to focus on maintaining a conservative balance sheet and to look for opportunities to reduce the group’s loan to value ratio to below 35%. We will also continue to look for opportunities to extract value from some of our investments, Rebosis in particular”, commented CFO Imraan Suleman. During the past financial year, Arrowhead reduced its holding in Dipula by disposing of 1,8 million shares to the value of R15,5 million, but intends to retain its remaining investment stake in the medium term. “Uncertainty in the economy and the property sector continue to prevail. Under the circumstances, our outlook for investor returns has to remain cautious and conservative. However, we believe our core portfolio is still well positioned to deliver sustainable shareholder value and to ensure this, we will continue to manage risk, contain expenses and focus on tenant retentions,” concluded Kaplan.